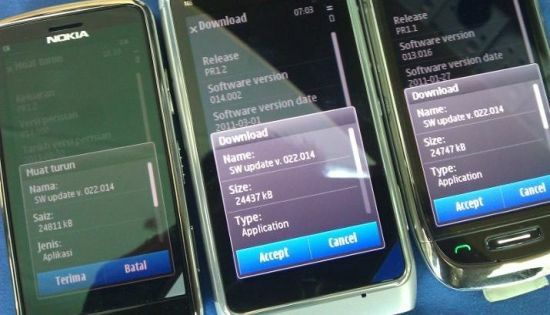 According SymbianTweet, the PR2.0 aka Anna update for the Nokia C6-01, C7, E7 and N8 are now available through OTA (Over the Air) as well as through the Ovi Suite. Yesterday we had posted that the new firmware files for the E7 and N8 were available on NaviFirm, and it seems that Nokia is now pushing out the anticipated update through its servers. If you do not see the update anywhere, hold on to your handsets as the servers might take some time. So keep checking for your updates and do tell us if you manage to update your Symbian handsets.